Chapman Petersen had a good time in Spain. 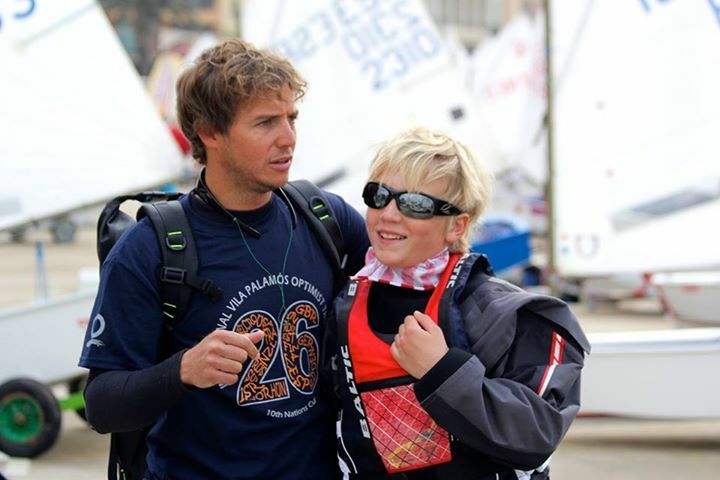 A member of Opti Class Team USA, selected in January at Southern YC, he competed in the XXVI International Vila de Palamos Optimist Trophy 10th Nations Cup Regatta, February 12-15, at the Club de Vela Palamos on Spain’s Costa Brava. 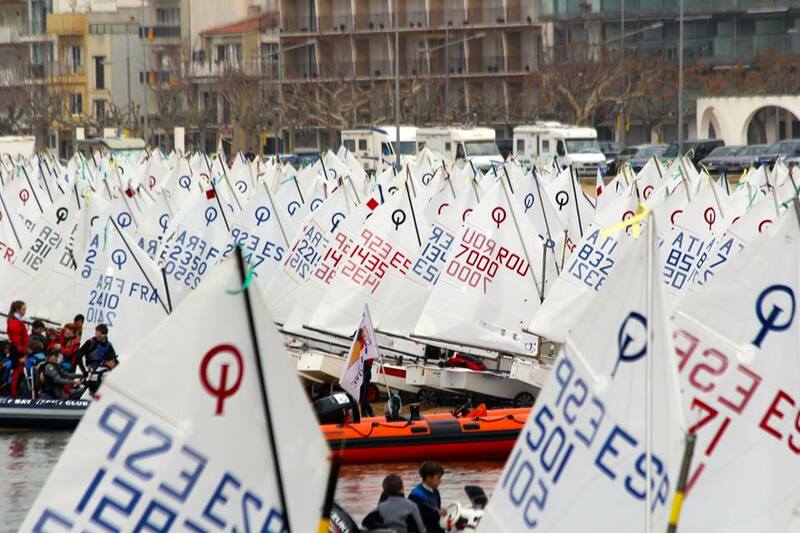 The event attracted 544 boats (a Palamos record) from 22 countries and is the biggest youth sailing event in Spain. Chapman, who is 11, finished in 170th place. It was his first look at the Mediterranean and his first international event. And it gave him a chance to use his Spanish, which he is studying in school. Overall winner was Germany’s Deike Bornemann, 14, from Seglerverein Weener e.V. (she finished fourth at last year’s event), followed by Spain’s Jaime Benthem Muniz and Great Britain’s Julia Mellers from Colchester YC. Winds were a big mix, ranging from very light to what in Spain is called a Garbi–about Beaufort scale Force 5 and much loved by the Windsurfer crowd. Class C sailor Jim Petersen, who accompanied his son to Palamos, estimated that swells in one race were about four to five feet. Team USA coaches were Robby Bisi and Marek Valasek. The sailors raced in flights and were scored individually, not in age groups. Chapman’s flight had 135 boats in it, and his best finish was in the finale, a 14th place in light conditions. “I liked getting my best race last,” Chapman said, “a 14th when I passed ten boats in the last beat.” He was not sailing his own boat in this regatta, but he did use his own sail, boom, mainsheet, and tiller extension. On the home front in both 2013 and 2014, Chapman won LGYC’s Robert J. Porter Memorial Trophy for the Optimist Series A title and the Optimist Series B Championship. He also received the Michael H. Sherin Trophy as Optimist Skipper of the Year at the Geneva Lake Sailing School. In 2015, he plans to compete in Miami in the Opti Spring Fling Regatta and the US National Team Trials. To see the complete results of the Palamos Regatta and photos of hundreds of boats on the beach and rounding marks (to cool background music like Fifteen Minutes of Fame), click here.